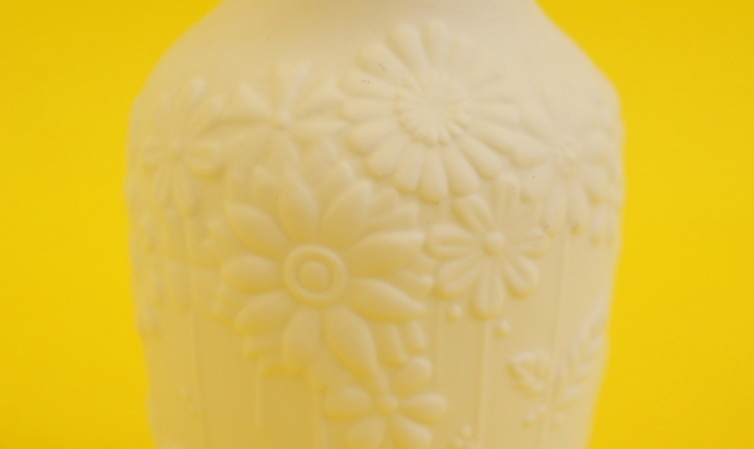 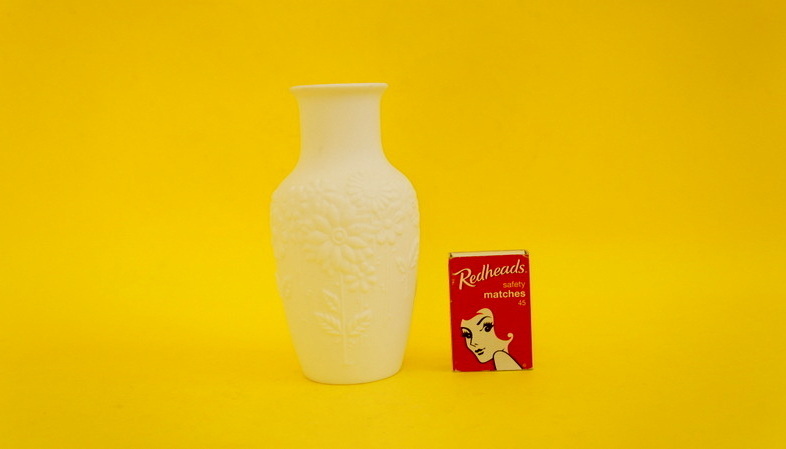 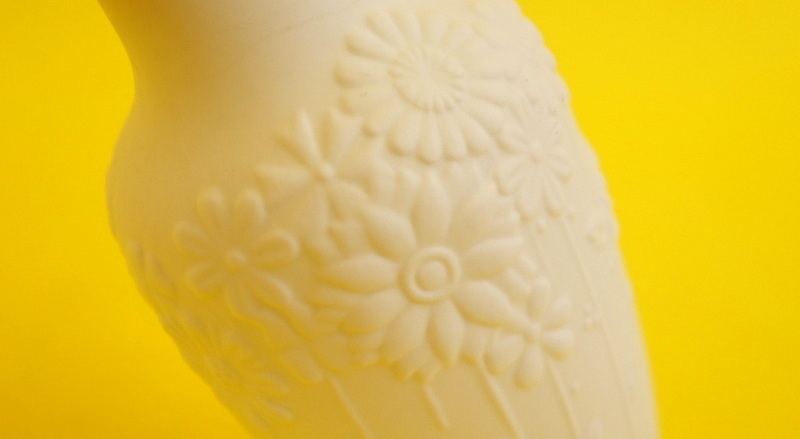 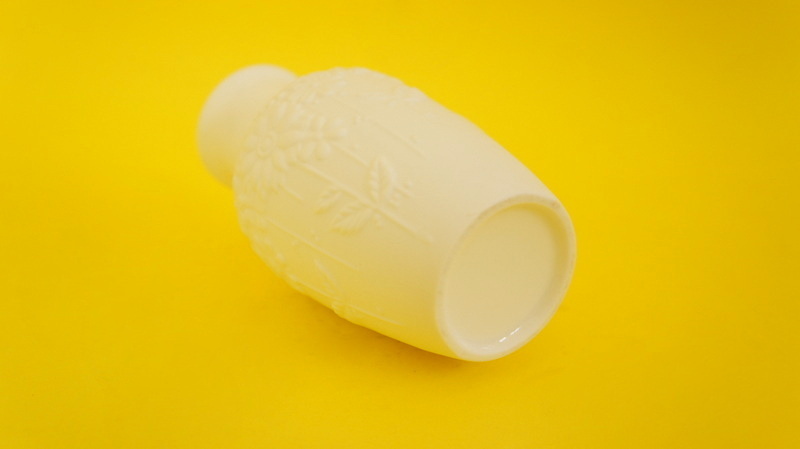 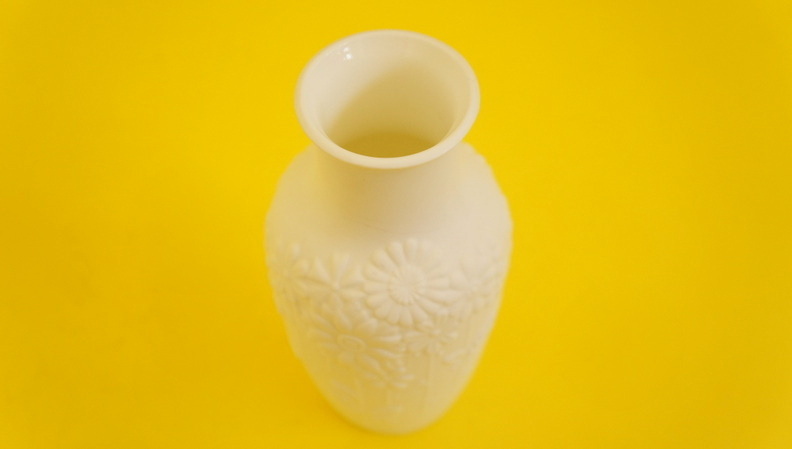 This is one very beautiful – albeit very petite – vase! The level of craftsmanship displayed in this small bisque bud vase is just outstanding, so I was really surprised that there was no maker’s mark. 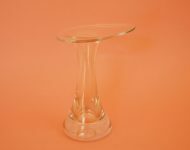 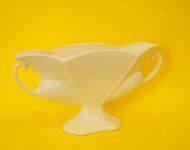 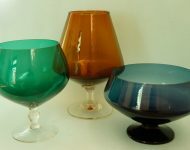 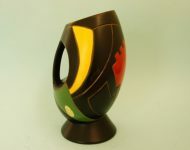 The work looks very similar to that of Manfred Frey who designed a serious of raised bisque vases for AK Kaiser in the 1970s, but without a maker’s stamp it’s very difficult to say. 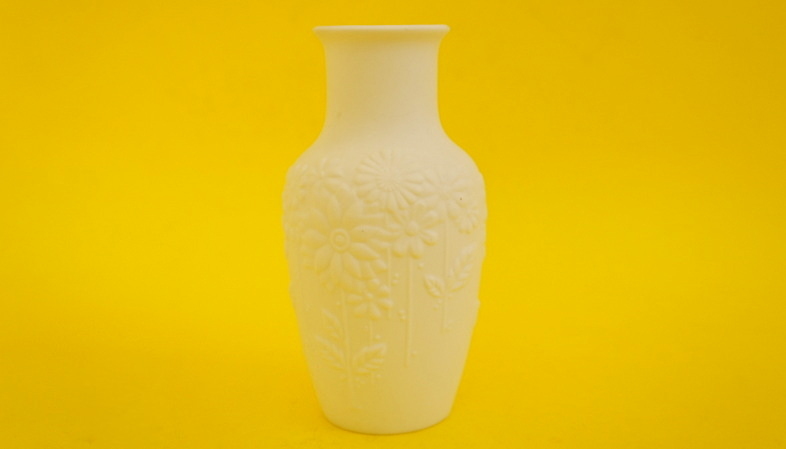 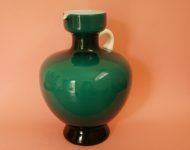 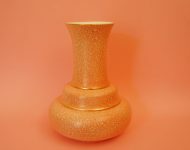 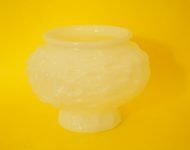 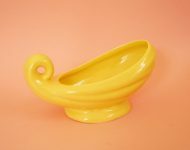 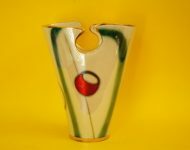 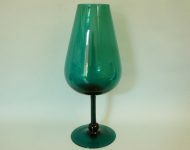 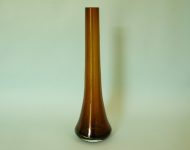 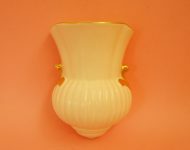 Personally though I think this vase is special enough to warrant a decent price tag without knowing anything about it – it really is quite something!